In the late 17th century the east side of Castle Hill and southern Tipton was part of the Earl of Dudley's Coneygree Deer Park. Most of the remainder was farming land. This all began to change as people started to exploit the mineral wealth in the ground. 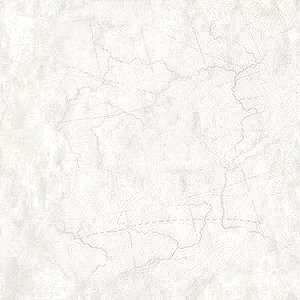 Coal mines and limestone mines began to appear. Initially mining was on a small scale, but when the canals appeared it all changed. 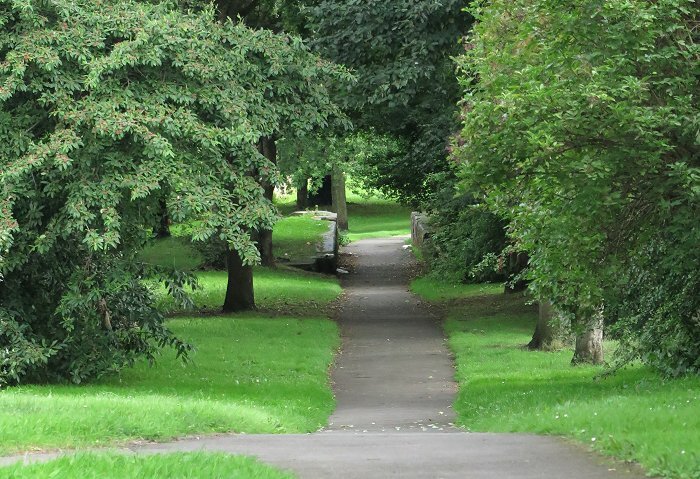 In the eighteenth century, some roads were in good condition, particularly those looked after by turnpike trusts. Others were described as being in a ruinous state, impassable for wagons and carriages in winter, or after a period of heavy rain, and were dangerous for travellers. Birmingham's growing industries had an expanding appetite for coal from the Black Country, particularly for the vast deposits in the Wednesbury and Tipton area. Because many of the local roads were totally unsuitable for heavily laden vehicles, supplies were limited, and so the decision was taken to build a canal. The first canal in the area was the Staffordshire and Worcestershire Canal, connecting the River Severn at Stourport to the Trent and Mersey Canal at Great Haywood. Building work on the canal, surveyed by James Brindley, began at Stourport in 1768. The canal was navigable as far as Compton in November 1770, and opened in its entirety in 1772. 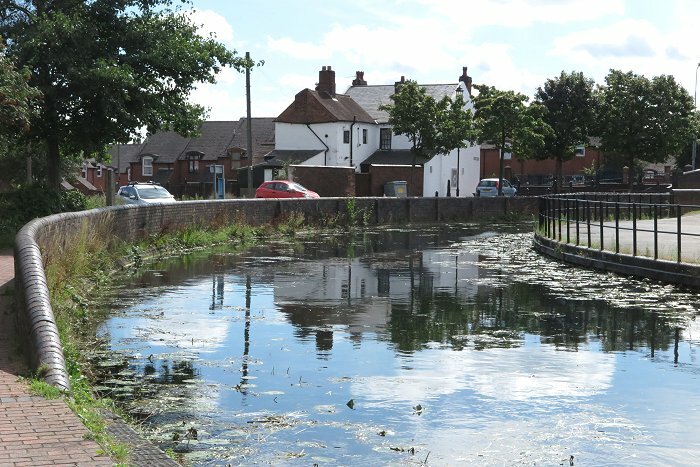 In January 1767 a public meeting was held in Birmingham to discuss the building of a canal that would connect Birmingham to the Shropshire and Worcestershire Canal via the Black Country's coal mines, and Wolverhampton. By August sufficient capital had been raised to fund the project, and a Bill allowing construction was passed in Parliament in February 1768. James Brindley was appointed as engineer, and the Birmingham Canal Navigations was incorporated on 2nd March, 1768. Work quickly got underway, so much so that the Wednesbury line was completed in 1769 to transport coal from collieries at Hill Top. The first boat load of coal bound for Birmingham left on 6th November, 1769. 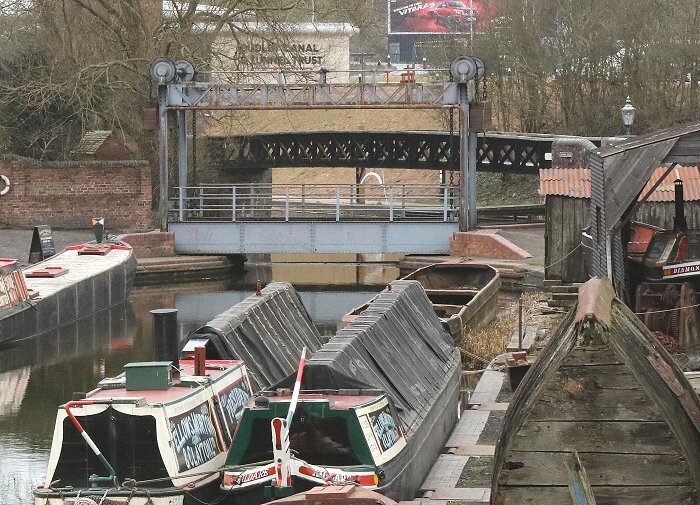 In 1770 the canal arrived at Tipton, and reached Wolverhampton in August 1771, but the final downhill section to Aldersley Junction took another year to complete, because it required the building of 21 locks. Initially 20 locks were built, but because of the large drop at the bottom lock, an extra lock was added. The Canal opened on 21st September, 1772, just 8 days before Brindley's death. The canal followed the natural land contours to avoid the building of locks as far as possible, and followed an extremely circuitous route passing close to many of the coalmines. The finished canal was over 22½ miles long and covered just over 12½ miles as the crow flies. Other branches soon followed, including the Ocker Hill Branch built in 1774 which was included in the original Act. One of the bends on the old main line. The Walsall Canal was built under the terms of an Act passed by Parliament on 24th June, 1783, which included the Toll End Branch. It was surveyed and designed by John Smeaton, the first self-proclaimed civil engineer. The canal had eight locks at Rider's Green, and reached Wednesbury in 1786. It finally opened to Walsall in 1799. The Dudley No. 1 Canal Branch running from the old main line at Tipton to the Earl of Dudley's limestone quarries at Castle Hill opened on 1st June, 1778. 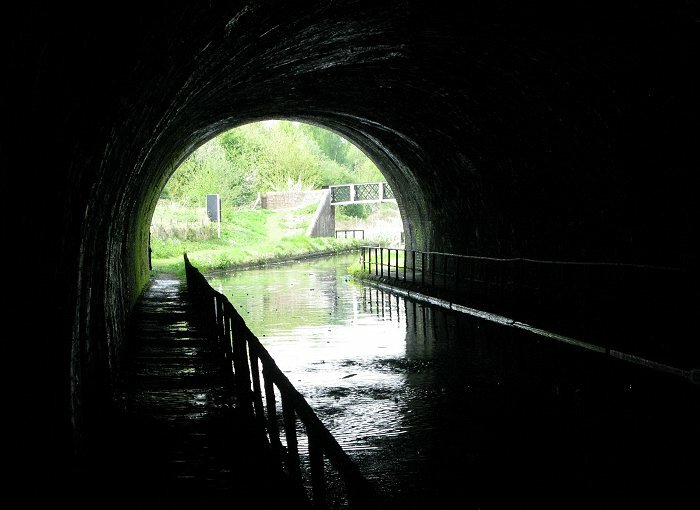 It was later extended to the Dudley Tunnel which opened in 1792. Work on the Bradley Loop began at the Walsall Canal end in 1796. It had nine locks. The final part linking it to the old main line opened in 1849. The Gospel End Branch was built in 1800, the Dixon's Branch opened in 1828, and the Haines' Branch opened in 1833. 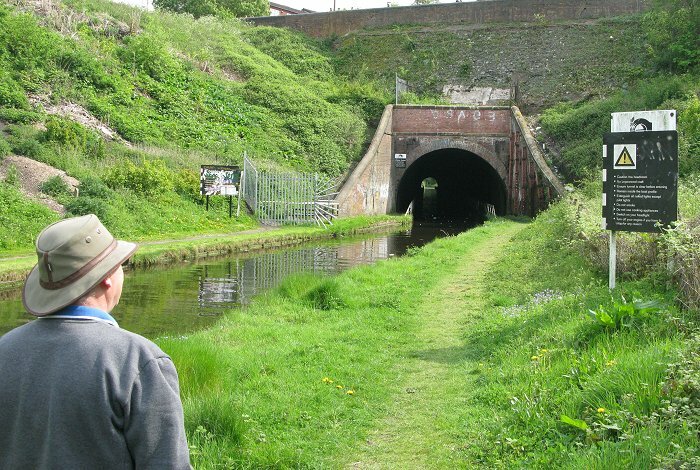 The first direct link between the old main line and the Walsall Canal was the Tipton Green Branch, running between Tipton and the Toll End Branch. It opened in 1809 and had three locks near to the junction with the old main line. The branch initially opened in 1805 to serve Cotterill Farm Colliery, but was extended four years later to the Toll End Branch. 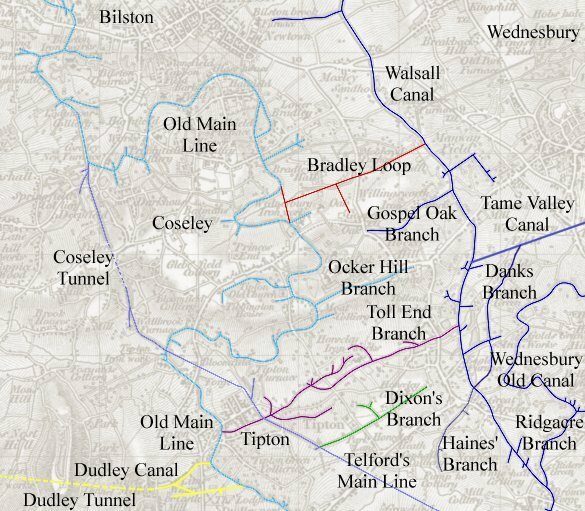 In 1824 Thomas Telford was engaged to survey a canal to bypass much of the old circuitous route, particularly around Coseley. An Act for the building of the canal was passed in June 1835, and work soon got underway. 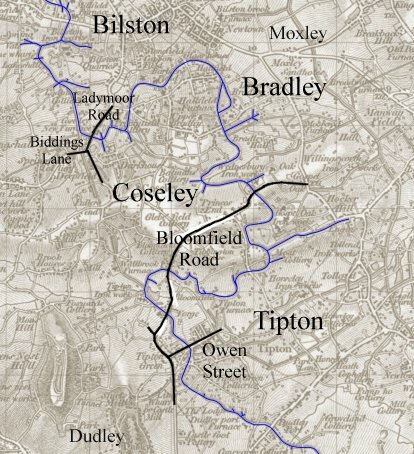 The section from Deepfields to Bloomfield, including the Coseley Tunnel opened on 6th November, 1837. The new mainline was completed in April 1838. It is seven miles shorter than the original route, and very straight. The northern end of Coseley Tunnel in 2014. A final addition to the Walsall Canal was the Tame Valley Canal which runs from Doe Bank Junction on the Walsall Canal to Salford Junction on the Birmingham and Fazeley Canal. It opened on 14th February, 1844. 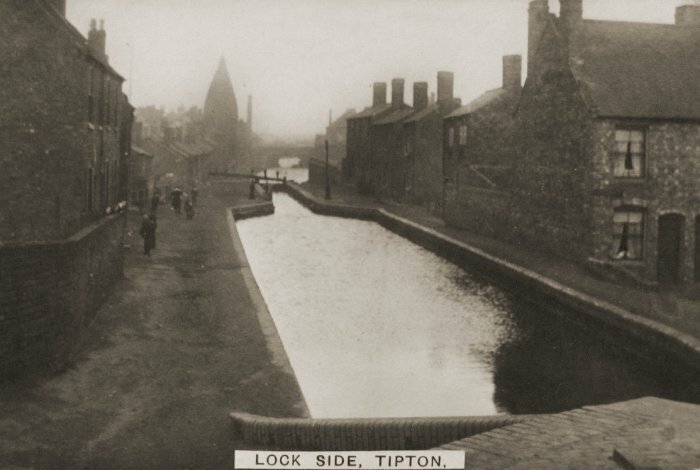 The complex network of canals around Tipton, which became known as 'the Venice of the Black Country'. The large quantities of coal, limestone, raw materials, and finished goods that were transported on the canals at the time, made the canal companies very wealthy, greatly benefiting their shareholders. Large factories sprung-up alongside the canal, and the population of many local towns rapidly grew thanks to the employment on offer. The cost of some of the items for sale in the shops fell due to large scale manufacturing and ease of transport, and a greater variety of goods could be found in the shops. The canal network was connected to sea ports so that manufacturers could easily export their products, and many imported goods were readily available for the first time. The falling cost of coal encouraged new industries to develop, and reduced people’s heating bills. From Pigot & Company's National Commercial Directory for 1828-29. From William White's History, Directory and Gazetteer of Staffordshire published in 1834. From the 1851 edition of William White's History, Directory and Gazetteer of Staffordshire. One of the most successful carriers and boat builders in the Black Country was Thomas Monk whose business began at a small boatyard at Tipton. He was born in Stourport on 13th April, 1765 where his father had a boatyard and built barges for use on the River Severn at Lower Mitton. Thomas came to Tipton in about 1790 and built a boatyard and dock next to the old BCN mainline on a site now occupied by the gardens at the back of the houses in Vernon Avenue. The Tipton boatyard flourished. There were soon around 130 boats carrying all kinds of goods between the Midlands, North Staffordshire and London. Thomas was credited with the introduction of cabins on canal coats. The boats became known as 'Monkey Boats', a name that was eventually applied to all boats on the canal that carried a cargo. Around 1820 Thomas introduced a passenger service between Factory Bridge at Tipton and The Wagon and Horses at Birmingham. He built a specially designed boat called 'Euphrates', a fly boat with rounded sides and a keel so that it could travel quickly through the water. It was of lightweight construction with a wedge shaped front. The horses travelled at an unbroken trot and were changed every few miles. 'Euphrates' became known as the 'Monkey Fly Boat' and was captained by a local man, John Jevan. It operated a two-hour passenger service to Birmingham on Mondays, Thursdays, and Saturdays, leaving Tipton at a quarter past eight in the morning, and returning from Birmingham at 5 o'clock on the same day. It called at Dudley Port, Oldbury, Spon Lane, and Smethwick. On Tuesdays, Wednesdays, and Fridays it was available for private hire, and excursions. In 1830 the service was extended to Wolverhampton, running daily along the old main line. After the building of the new main line, 'Euphrates' also ran from the Packet Inn at Wallbrook to Birmingham through the newly built Coseley Tunnel. The boat continued to carry passengers until the Stour Valley Railway opened in 1852. It was then stored at William Monk's yard at Selly Oak. Thomas Monk senior died at Tipton on 3rd August, 1849 and is buried in St. Thomas's Churchyard, Dudley. The business survived until the 1930s. The last family member to run the business was Thomas's great, great grandson also called Thomas. 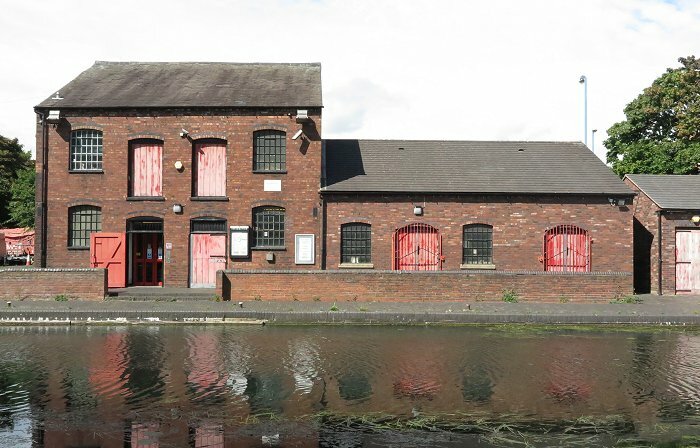 At that time the business had a boatyard at Monk's Wharf near Selly Oak Junction on the Worcester and Birmingham Canal, and mainly carried coal, and furnace slag for road making. 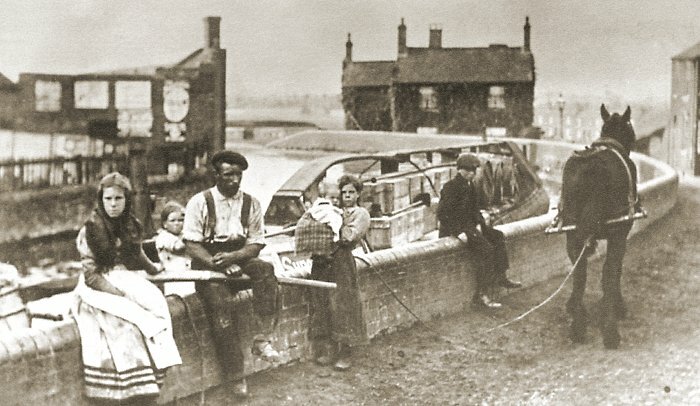 A boating family sitting on the wall by The Fountain Inn, overlooking the old main line. From an old postcard. The local canals were extremely busy. There were a number of other carrying companies based on various wharves in the Tipton area. Some, like Thomas Monk had fly boats carrying all kinds of goods over the canal network. Some of the carriers had conventional slow canal boats hauled by a single horse, often concentrating on a single type of cargo such as coal, limestone, iron, hay, flour, or barrels of beer. A flour warehouse stood beside the old main line at Tipton Green until the 1940s. Townshead's Warehouse stored sacks of flower that had been milled at the company's flour mill in Worcester. One of the better known companies was Fellows Morton & Company which later became Fellows Morton & Clayton. James Fellows had a canal carrying company in West Bromwich before moving to Toll End in 1841. After his death in 1854 his widow Eliza ran the business until their son Joshua was old enough to take over. The business grew to such an extent that in the 1850s he was transporting 13,000 tons of iron annually between Birmingham and London. 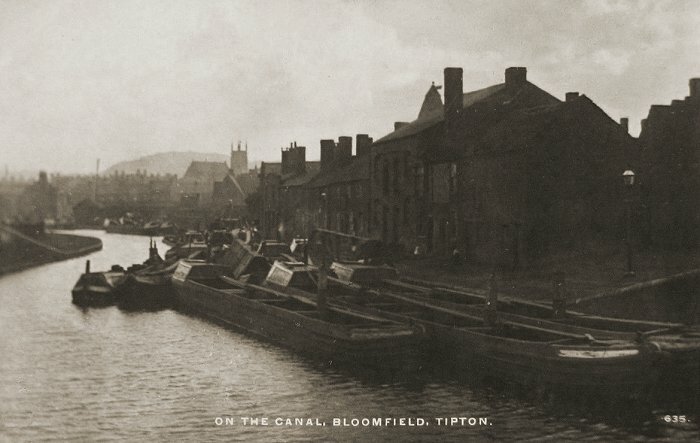 A new boat building yard was built at Tipton, and by the early 1860s the firm's fleet had grown to over fifty boats. In 1876 the firm became Fellows Morton & Company when Frederick Morton joined the business, which continued to expand. The final partner, Thomas Clayton, joined the business in 1889 and the company became Fellows Morton & Clayton Limited. Thomas had taken over from his father William Clayton who died just before the formation of the new company. William had a large yard and wharf at Oldbury and specialised in transporting liquid waste from gas works and carrying it to various chemical works. He carried large amounts of ammonia rich gas water used to produce fertiliser, and tar in his tar boats to tar distilling companies. At the time of the formation of Fellows Morton & Clayton Limited, on 3rd July, 1889 the firm had around eleven steam boats and 112 butty boats. The Tipton Green Branch. The area where the houses stand was called 'Lock Side'. The bridge in the distance carries Elliott's Road and was next to one of the tollhouses. From an old postcard. The Tipton Green Branch today. Other local carriers included Pickford & Company, Crowley & Company, Bissell, and Whitehouse. Crowley & Company had a yard at Tipton Green from where their fly boats travelled daily to London, Liverpool, Manchester etc. The yard was also used by Pickford & Company. John Whitehouse & Sons also had a yard at Tipton Green from where fly boats travelled daily to London, Liverpool, Manchester, Bristol, Worcester, Birmingham, and Shrewsbury. Three times a week fly boats travelled from John Bissell's Wharf at Tipton Green to London, Liverpool, Manchester, Shardlow, Hull, and Gainsborough. Tildasley and Sturland also had a wharf at Tipton Green from where fly boats travelled three times a week to London, Liverpool, Manchester, and Worcester etc. 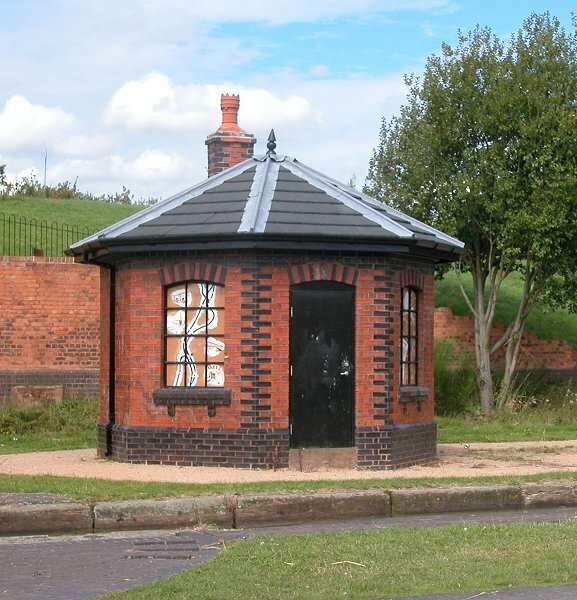 In 1784 the Birmingham Canal Navigations Company built a huge pumping station at Ocker Hill to pump water from the Walsall Canal via a tunnel, to the higher Ocker Hill Branch to keep it topped-up. The resident engineer was Timothy Hackworth. It continued in use until 1948, and was demolished in 1960. The spiritual needs of the boating families were not forgotten. In 1892 The Boatmen's Mission was built by the Incorporated Seamen and Boatmen's Friendly Society thanks to financial assistance from the Earl of Dudley. The foundation stone was laid on 26th November, 1892. The building, on the old main line, near to Factory Bridge still survives today, but has a different use. On the opposite side of the old main line is one of the last surviving stables, Malthouse Stables built in 1845. The building originally had fourteen cobbled stalls for horses on the ground floor. The rooms upstairs were used for storage. It continued in use until the 1920s and lay derelict until restoration in 1982 when it became a water activity centre. Looking along the old main line towards St. Matthew's Church. On the right is the Malthouse Stables building. From an old postcard. Another interesting structure on the canal is the old lifting bridge that was built in Factory Basin Goods Yard in 1922. When the yard closed in 1968 it was taken to the Staffordshire County Museum at Shugborough, before being acquired by the Black Country Living Museum in 1977, where it can be seen today. The lifting bridge, as it is today at the Black Country Living Museum. One of the surviving canal buildings near to Factory Bridge is the boat gauging house that was built in 1873. The BCN Company, like the other canal companies made a significant part of its income from the charges that were levied on carrying boats. The use of gauging was allowed under the terms of the 1811 Birmingham Canal Act. The charge depended upon the weight of the cargo, and so some method was needed to quickly assess this at the toll houses where the charges were paid. The BCN used the dry system in which an empty boat was placed in a gauging dock, and one ton weights were placed in the boat. As weights were added, the boat would lie lower in the water, and the water levels were marked on the side, so that they could be quickly read-off when the boat was loaded with its cargo. New boats and boats that had gone for a refit were marked in this way. Each boat with a wooden hull had to be re-gauged every few years because it would gradually sit lower in the canal, as its hull became saturated with water. The gauging house originally held two gauging docks and could handle any size of boat that operated on the canal, including the so called 'Amptons' that were wider and longer than other boats. There were also cranes to load and unload the weights. The building is now Grade II Listed.